Lately I have become intrigued by the term "traditional". It is frequently used to distinguish martial arts such as karate or taijiquan from modern combat sports such as MMA. At this point it seems profitable to distinguish "traditional" from what many call "classical". My esteemed colleague Victor Smith defines the latter (for the purposes of karate) as pre-1920s, the "traditional" era as dating from the '20s to the '50s and the "modern" era as dating from then onwards.1 While this is quite a useful "potted account", in this discussion I am not particularly interested in the "classical" era; there are few people who maintain that they are studying something that they know with reasonable certainty has a high fidelity to what was taught more than 80 years ago. Those who study such "classical" arts (eg. Tenshin Shoden Katori Shinto Ryu - the oldest existent samurai arts school) are few and far between. 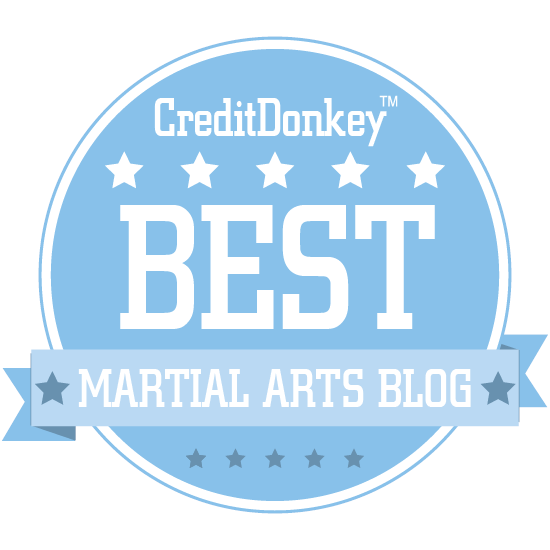 The rest of us who train in "traditional" martial arts assume a level of fidelity to the past but accept that there has been some evolution, whether conscious or unconscious, from the "classical" era to the present. We don't claim to be preserving absolutely intact an art form that dates from antiquity (as opposed to, say, linguists who study nearly extinct Finno-Ugric languages, in which case the exact transmission of traditional songs is seen as the key to the preservation and perhaps revival of those languages2). So this raises the question - what do we mean when we say we are studying a "traditional" art? What makes one art "traditional" where another is regarded as "modern"? Both might well acknowledge roots in the past and both might accept a level of "evolution". Yet when we compare MAA and goju ryu karate we have no difficulty in describing the former as a "modern" school and the latter as a "traditional" school. Again - it is not so much that some schools are more or less "original" to what was taught 80 years ago; clearly some will be more so than others. 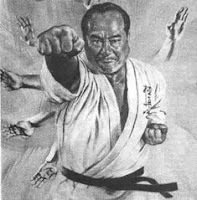 Each kaiha (school) of goju ryu karate holds the view that it is "more like Miyagi's goju" than the the others, yet we see considerable variations between IOGKF, Jundokan, Higa's Shudokan, Shoreikan, Meibukan, Goju kai etc. - not to mention the variations in goju's sister school tou'on ryu. Who is the most "authentic"? 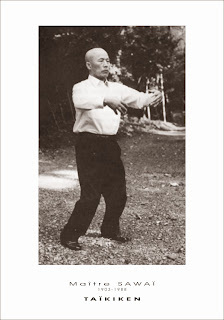 The same debate exists in shorin ryu karate; which of Itosu's, Funakoshi's, Chibana's, Motobu's or Nagamine's student's best preserves or approximates the karate of the legendary Sokon Matsumura (acknowledged as the founder of the shorin tradition)? Put another way, who has the most "authentic" version of a particular traditional style - and does it really matter? What point do you choose as "ground zero"? In the case of goju ryu is it the style of Chojun Miyagi just before his death? Or is it the style of Kanryo Higaonna (Miyagi's teacher)? Why not Ryu Ryu Ko (Higaonna's Chinese teacher)? What if Morio Higaonna, head of today's IOGKF, has improved upon what his teachers have taught him in some subtle way? It seems that at some point the whole question of "tradition" (and therefore "authenticity") starts to become both ephemeral and irrelevant. Rather the issue is one of "dilution". What do I mean by this? To answer this question I will start by making the following observation: I think it is important not to rashly excise past methods since you might "throw the baby out with the bathwater". 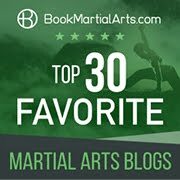 I try to see what each kaiha/school of a particular traditional martial art does. I make an educated guess as to what I think the "original" (whatever that might mean) might have been. But regardless, I do what I think works, preserving the knowledge that was handed down to me (or that I have otherwise researched) intact - just in case my assumptions are incorrect and I've missed something important. To me, "dilution" consists of rash excisions or changes to traditional technique made without understanding their function - resulting in loss of information/knowledge and a "poorer" version of that technique or one that doesn't work at all. You can see this in many McDojo but also in some purportedly traditional schools too. It happens everywhere - to all of us. We are human and we can't look inside our teacher's minds. Sometimes we improve upon the past, sometimes we don't. However some schools consist of diluted stuff and little else. These are what my friend Jeff Mann describes as "punch/kick" schools. There are shades of grey in between. 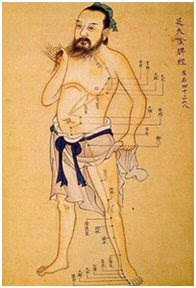 It seems to me that traditional techniques in Okinawa were often dilutions of Chinese techniques. Sometimes they were improved versions. Whichever way you look at it, the Okinawans did change things. But each of them felt he or she was preserving some essence of the quan fa their art was based upon. Arts do evolve. 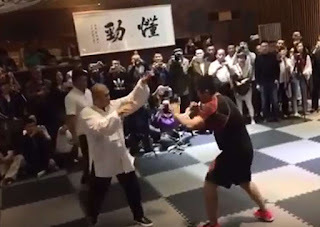 You need only look at Su Dong Chen (a very effective full contact fighter in his day) and his "Essence of Evolution"3 to see how his own style has changed from his days with Hong Yi Xiang. 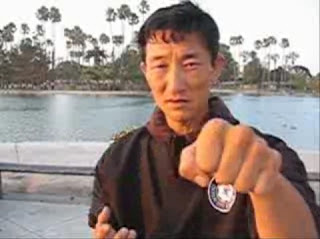 I have footage of Hong doing Chen Pan-Ling's combat-oriented taiji and see subtle, but significant, differences to the art which Chen Pan-Ling taught him. The issue here is not with "evolution". It is with wholesale "abandonment" of past methods. However effective modern combat sports are, they have in my view rashly excised or changed many techniques from traditional schools that are genuinely useful. They have done so without understanding their function in civilian defence (or perhaps because they were taught poorer/diluted versions themselves and rightly rejected these). I have always felt that what sport fighters do is eminently suitable for its purpose. In my experience the reverse view (that traditional methods are useful in self-defence) is often derided by sports combat practitioners. So this brings us back to the central question: what makes an art traditional? At what point does a martial system cross the line of "traditional" and become "modern"? Clearly "traditional" cannot refer to a static point in time since arts are constantly evolving, even at an unconscious level. If you look at the things I did a decade ago and how I do them now you'll probably see big differences (even if I am not aware of them). Are our "traditional" Christmas celebrations ones that date from specific, static period? The answer is no. 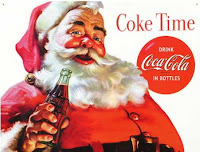 There was no "Santa Clause" as we know him until the cheery old man in a red suit appeared somewhere at the turn of the last century (some say because of Coca-Cola marketing but this is actually not the case4). Before that, the bearer of gifts we now call "Saint Nicholas" might have taken the form of an elf, goblin, fairy, group of individuals or an animal. In other places in Western Europe the entire "Saint Nick + presents" custom was absent entirely. Ditto the Christmas tree, tinsel, holly, roast turkey etc. If you went back even to the '40s you'd be surprised at how different the "tradition" was. Yet Christmas is, nevertheless, a "tradition". I think the conundrum exists because the word "tradition" describes something that is constantly evolving, but at a specific (rather slower) rate than, say, the transition from karate to MMA. How and where one could delineate the point at which an art was "traditional" or not is difficult to say. Is American goju (as opposed to, say, Goju kai from which it is descended) "traditional"? For my purposes, it is. It is evolving at a rate that makes it identifiably a traditional system. It arguably departs from Miyagi's system as much as many mainland Japanese systems have - but in a different direction. By contrast, what is taught in MMA gyms is not remotely in the "traditional" ballpark. 1. See my quote of one of Victor's comments at the Traditional Fighting Arts Forum here. 2. Consider the Livonian language in Latvia which is close to extinction. Efforts at preserving the language focus on recording traditional songs which provide a valuable key to grammar, syntax, intonation as well as history and mythology (see this article as an example). 3. See Su Dong Chen's site Essence of Evolution. 4. See this article on Snopes. Glad to see you back! As always an excellent article on a topic that has been practically beaten to a pulp in blogs, etc., and yet you have been able to "coil" through the mire and access to the core of the issue. The "issue" is, of course, evolving. But you, as many others--McCarthy, McKenna, etc.--have brought a lot of practical insight and serious debate to the fore to wisely counteract the MMA posturing of the Rocky Balboa school of martial arts. If I may add to the "debate," I consider that the core distinction between a traditional and non-traditional outlook is the attitudes, values and ethics that distinguish the two approaches. 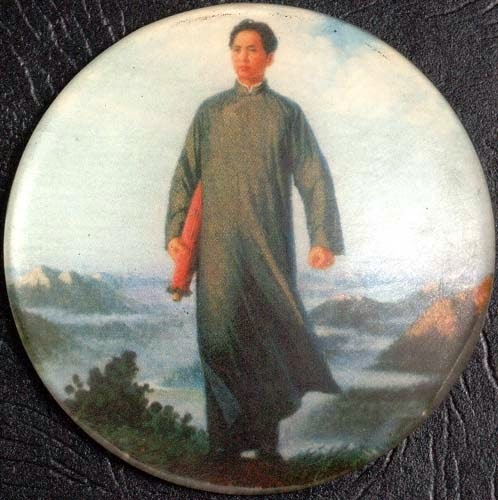 While I believe that the honest martial artist is as aware of the past and its contributions and sees himself in that chain of evolution as he is of the dynamics of the present practice of martial arts and their interaction, the "other" believe he has invented the wheel. A true modern always feels classic. So let us say then that what you espouse is a "modern classic" approach to martial arts. Again, I commend you on a well-balanced analysis. Thanks again Jorge for your kind words and encouragement. I thank you also for the "welcome back" - I've been in Taiwan as you probably know and I've not been able to post in my usual fashion! Your input is, as always, insightful and appreciated. Traditional, classical, modern, diluted and/or authentic. What's it to be? "It seems that at some point the whole question of "tradition" (and therefore "authenticity") starts to become both ephemeral and irrelevant." I agree there is no real point arguing over the labels, as for one, we weren't around at the time and so can never know for sure. A little like with archeology, we can surmise and hazard informed guesses, but we really cannot be sure. Evolution is necessary and as you say can even be unconscious. While dilution toward McDojo style is abhorrent, evolution or progression toward an improved 'model' has to be advantageous. An obvious example would be the conditioning of the fingers for nukite, which is of limited value in the modern era when armour is not made from bamboo. Likewise, the Goju practise of kakie could be updated to include both hands to 'listen' with. Progression/evolution could make use of the modern combat sports, which can be used as a valuable source of information. One perspective of addressing the 'traditional' debate concerns something you touched on. Preserving the 'essence' while adopting contemporary training methods could be termed traditional as thats what the Okinawans did in effect. As you mention the Okinawans 'improved' on "the quan fa their art was based upon", therefore evolution is tradition. I agree with all your comments Jon! I tend to agree that there's some wayward efforts in preserving tradition, at least in the sense of trying to replicate what the previous generation accomplished. If the sum total of one's art is based around copying some guy who is dead and can't even tell you or prove you are right or wrong, it isn't exactly an objective way to verify things. Similar to many things in internal arts, if all one relies upon is feeling and subjective bias, there is a high chance that one will stray from the true path. There has to be an external test, to see if reality agrees with your premises and conclusions. That external test has to be evaluated from a more objective basis than a subjective one, though one's subjective judgment may be the only thing available. In some ways, being objective relies on other people's judgment, whereas subjective views rely upon one's own personal judgment. It would be best to combine the two into a hybrid of the best parts, since each has its own particular failings. However, since we speak of the art, the art is better evaluated by one's own judgment than relying on another's. Whereas technique and scientific results in force multiplication and self defense, can be verified objectively better than relying on any single person's judgment. 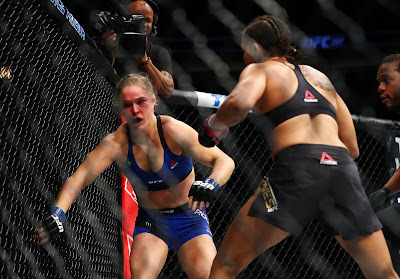 MMA attempts to use the reality test idea, but there is a fundamental lacking in artistic awareness. No matter how one tries to test out things, it doesn't get much results if the people testing it introduce their own incompetence or personal biases. Yes it is a fight in reality, but it is a fight in reality based around people's social and subjective rules and competition values. 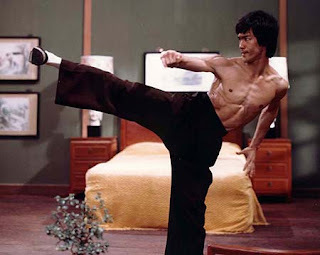 Using that to test martial arts techniques or self defense techniques, as if they were real simulations, is as flawed as believing one can use grappling techniques against stand up strikers when all the people in your dojo have below standard striking skills and that's all you train against. In all of history, each particular people and culture had their own problems, ideas, and solutions to offer. Whether they worked or not, is entirely different from the question of whether a modern man or woman can make it work for their own situation and problems. In some respects, youth and modern skepticism is needed to advance human knowledge, and that requires the ability to disconnect from the past. But, in many of the new generation, they have decided that this means there is nothing of worth to find in the past, that the only things there are evil men, histories, wars, etc. But those are the very things they should have learned about, but didn't, because they were publically educated that the present is whatever one make of it. If it feels good, do it, was the idea from the end of the last century. One cannot judge a man or woman until one comprehends their time, history, and motivations. To do otherwise is to fall into prejudice and foolishness. One cannot reverse engineer ancient technology without comprehending some kind of technology. One cannot reproduce ancient technology without comprehending ancient technology. To know what to discard or change from the past, without learning about the past at all, is a risky endeavour. No matter how genius the modern generation youths are, they cannot match the multiple millions of life times of the ancients and their battle experiences combined. But at the same time, dead men and women cannot fight for you, and neither can your senior peers or your master instructors. The only one that can decide what is right or not, is the person in the fight, because usually that's all the time you get.